Regenerator Records is a unique re-issue record label, based out of Vancouver Canada. We are dedicated to the preservation of Canadian Music of the past as there are many recordings from Canadian artists that haven't seen a CD release or that still remain unreleased. Regenerator also manages an archive dedicated to Canadian music of the past, currently home to thousands of master tapes, records, photos and memorabilia from Canadian bands of the 1950's, 1960's and 1970's. This archive, labeled The Canadian Music Archives, is a part of Canadian music history and is a way to preserve one of a kind artifacts for generations to come. Our goal is to share with the general public high quality releases on CD and LP of rare Canadian music that otherwise would remain unheard. If you have master tapes or memorabilia from any Canadian bands of the 1960's or 70's please send us an email, as we may be interested in releasing your project. If you have Master tapes, photos, Posters or memorabilia of your band and are interested in donating them or adding copies of them to our archival library, please contact us. Regenerator Records has acquired many formats of reel to reel tape machines in order to perform archive quality transfers over to the digital domain. From 2 inch 24 track to ¼ inch full track We facilitate tape transfers by request and have machines to accomodate unusual formats, speeds or tape sizes. Regenerator Records promises some interesting projects in the years to come. 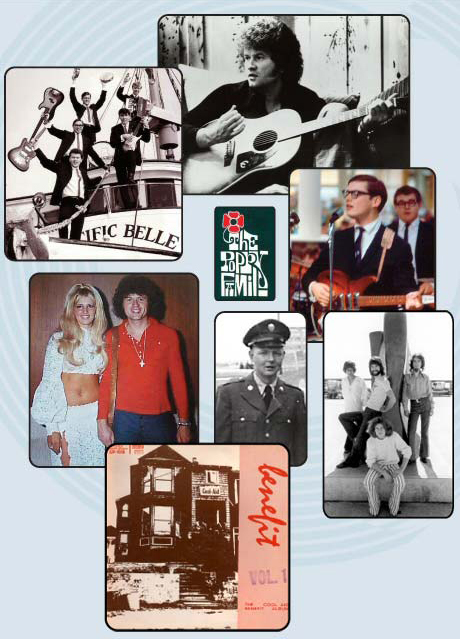 We have been excitedly preparing masters for several upcoming releases including the long awaited Cool Aid Benefit Album, The Terry Jacks Anthology, The Poppy Family DVD , A band called Spring and a compilation of 1960's Vancouver rock bands just to name a few.